As Managementors heads into 2019 with plans for growth, so the search for dynamic Project Managers and Consultants to join the Managementors team begins. 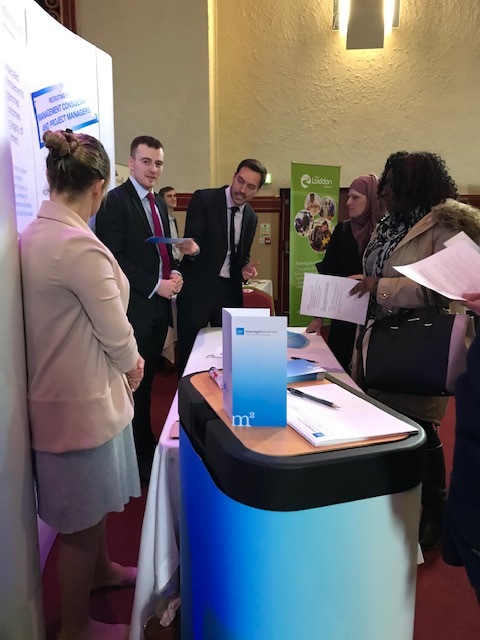 Exhibiting at the UK Careers Fair Reading provided a great opportunity to meet local talent and discuss the open opportunities available. 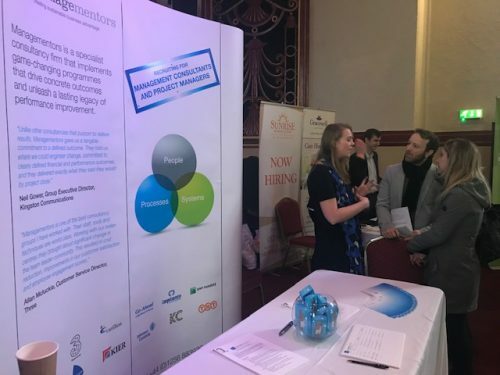 Throughout the day our team spoke with attendees who were interested in what a career at an operational consultancy could offer them. We are currently recruiting for either those who are experienced in, or looking to transfer into, a consultancy career, where we have both temporary and permanent positions available. If you have the ability to adapt to working within fast paced environments, are an effective communicator, creative thinker and have the aptitude to engender change – we’d love to hear from you!